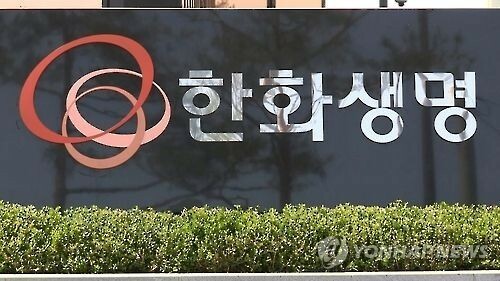 Hanwha Life Insurance Co., a major South Korean insurer, decided Friday to pay all overdue insurance claims on suicide. Hanwha plans to pay around 91 billion won ($78.8 million) on 637 unsettled cases in the decision made at a board meeting. It's apparently aimed at reversing the state financial watchdog's tough punishment against the firm. Last month, the Financial Supervisory Service issued a two-month suspension of partial business operations for its refusal to pay most of unpaid benefits for suicide claims. The insurer's CEO Cha Nam-gyu, who received a "disciplinary warning," may also face dismissal if the FSS' punishment is approved by the Financial Services Commission next week. The problem dates back to the 2000s, when a number of local insurers sold insurance products with a special contract on disaster-related deaths. They included the terms to recognize suicide after two years of the contract as a disaster death. The insurers, however, were tepid on paying benefits amid controversy over whether suicide is actually associated with any disaster. In 2007, the Supreme Court ordered them to pay suicide claims. While many other insurers followed the ruling, Hanwha and two other top insurers - Samsung and Kyobo - refused to pay benefits, arguing the two-year statute of limitations had already expired. On Thursday, Samsung's board of directors voted to pay 174 billion won in respect of its policyholders who committed suicide on 3,337 claims.